In this paper, we illustrate how Internet documents can be automatically analyzed in order to capture the content of a document in a more detailed manner than usual. The result of the document analysis is called an abstract, and will it be used as a linguistic search index for the Internet search engine, GETESS. 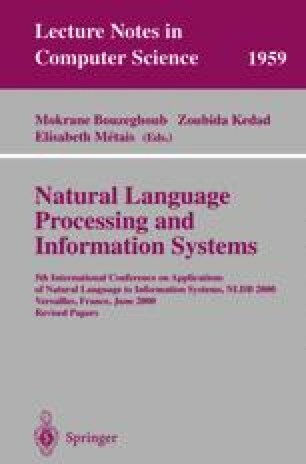 We show how the linguistic analysis system SMES can be used with a Harvest-based search engine for constructing a linguistic search index. Further, we denote how the linguistic index can be exploited for answering user search inquiries.